The real estate market in Northern California is seeing varying activity depending on the counties, cities, neighborhoods and homes. This issue of Market Watch is a strong indicator of this shifting dynamic. Competitively-priced homes in any range are expected to sell steadily and swiftly, and properties under $750K are not sitting on the market for long. The sub-$750K homes are also seeing tighter inventories than higher-priced homes. With additional inventory expected to appear over the coming days and weeks of summer, buyers who have been waiting for new listings will be competing for homes that are priced right and primed to sell. Sellers testing the market with listing prices above the competitive range will see their homes sitting longer, and the perception among buyers will be unfavorable. It’s critical even in this market to list at the right price for the county, city, neighborhood and home. Now more than ever, sellers and their agents need to be mindful in determining a listing price. East Bay – In the Berkeley area there has been a steady increase of both listing inventory and sales activity. Some of the largest markets in the region include Oakland with 248 available properties and 279 under contract; Richmond/El Sobrante with 81 active houses and 94 under contract. Pleasanton has also seen steady listing inventory increasing by 22 properties. El Dorado County – El Dorado Hills has solid inventory at the high-end market. Although properties are selling, some are overpriced due to the message of an inventory shortage. There have been multiple offers on properties under $500,000 and cash proves king in this range. Monterey County – Monterey launched Coldwell Banker Global Luxury since the last update and it has been well received. The high-end market had recent price adjustments of $1-3 million. The mid-range market has slower activity at open houses, limited listings and tight supply. However, the market is expected to pick up as we enter summer and more listings appear. North Bay – North Bay has seen a market favoring sellers, driven by demand and an increase in sales activity. Areas such as Marin saw homes going 15-22 percent over asking price. With approximately 365 available properties, only 65 are listed under $1 million. Although Santa Rosa Bicentennial had an increase in sales activity, it also experienced a slowdown in offers. The development indicates that the trend is home-specific in this area as opposed to a market indicator. Placer County – Tahoe offices saw a decrease of approximately 18 percent in sales for luxury properties over $1 million from 2016. This is also reflected in the year over year sales; 2017 had 75 sales while 2016 sold 92 properties for the same period. The median sales price for luxury properties in 2017 is $1.4 million, a five percent decrease from 2016. The average sale price of luxury homes in 2017 stands at $2.1 million compared to $2.3 million in 2016, an eight percent decrease. As more homes are expected to be listed, savvy buyers and investors will be searching over the coming weeks as mortgage interest rates remain favorable. Sacramento County – Folsom has experienced increased listing inventory and an increase in sales activity with 35 ratified offers. Fair Oaks saw decreases in listing inventory and sales due to a surplus of sellers and a lack of buyers. In the $450,000 price range, there were multiple offers on properties indicating a continued sellers’ market. Elk Grove has seen a 12 percent increase in listings with a 25 percent increase in pending sales. Homes under $350,000 have been in especially high demand with less than .2 months of inventory. San Francisco – San Francisco has had mixed results since the last update. SF Lakeside saw a slight slowdown in overall activity including open houses. 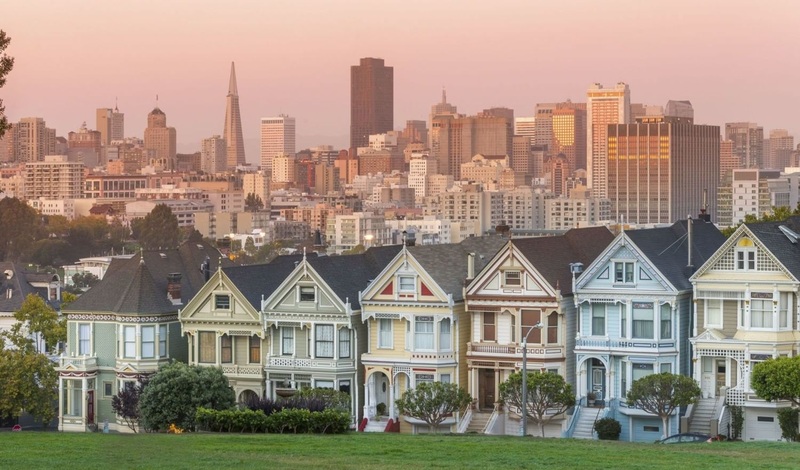 SF Lombard had slowdowns in the $2.5-$3 million range and high-end markets. However, single family homes have remained hot with multiple offers and sales over asking price. SF Pacific Heights had tight inventory with decreased listings, but still had an increase in sales activity. SF Peninsula –Burlingame, Half Moon Bay and Menlo Park each saw steady listing inventory and steady sales activity, but with different results. Burlingame’s tight supply prompted multiple offers on properties and many sold above asking price. Half Moon Bay also had tight inventory and carefully managed pricing. Overpriced properties linger on the market and typically bring in lower offers, so appropriate pricing is key. Palo Alto had increased listings and sales, but comparisons show inventory and sales are down from 2016. Redwood City had a slight decrease in inventory and sales activity, but remains competitive. One local buyer finally purchased a home after losing out on 14 previous properties, so demand remains high for competitively priced homes. San Mateo saw an increase in listings and sales, a good sign for a hot summer sales season. Santa Cruz County– In Santa Cruz, the price of high-end homes is currently $3-$4 million. Single family residences were in low supply with 320 active properties and demand remained steady. Overall, the county saw the number of properties that have gone into contract continue to be nearly as high as the number of new listings to the market. Silicon Valley – Cupertino reported multiple pre-emptive offers with a hot market and high activity. Listing inventory and sales activity increased and the area ended the period with 30 ratified offers.